The Crystal Ballroom at the Fort Garry is one of the most spectacular backdrops for any wedding, but what I loved about it at Ally and Josh's brunch wedding was the light that streamed in. It gave the day such a warm glow. For a brunch wedding, you can't pick a better venue than the Fort Garry Hotel, which in Winnipeg has long been famous for its elaborate brunch spreads. 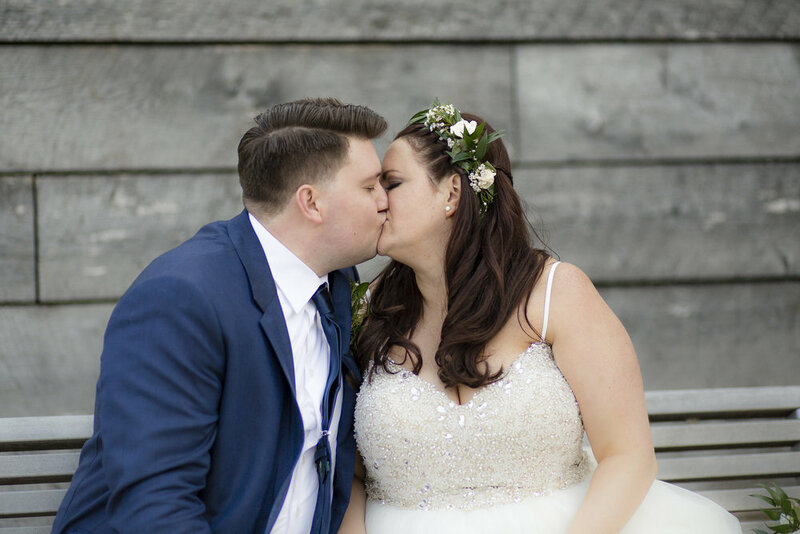 Ally and Josh's wedding certainly didn't disappoint - complete with a mimosa bar, a Garnish Your Own Caesar Bar, the Thom Bargen Coffee Cart and fresh made Bronuts with custom rose gold sprinkles thanks to the amazing woman behind Scientific Sweets. You can see why Ally and Josh were pretty much my dream couple right? As a non breakfast person (I don't eat eggs, am not a big bread eater and I don't like mushy things like oatmeal) I can get behind brunch. SO many more options! Plus it's perfectly acceptable to drink sparkling before noon at brunch. Planning with Ally and Josh was so much fun.. I am not sure you can actually spend anytime with the two of them without laughing, a lot. They were the type of client that invited you over for dinner and a glass of wine to plan. We bonded over a love of all things food and wine and the colour pink. Ally had chosen the prettiest shades of pink and rose gold for her wedding with pops of navy blue to tie in Josh's suit. 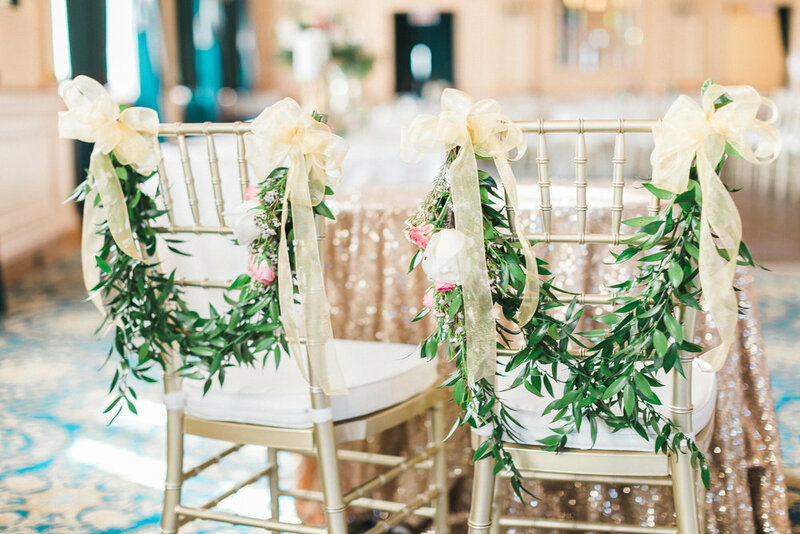 Pinks, creams and golds are perfectly suited to the opulent Crystal Ballroom. I loved the contrast of Josh's navy suit with the black ones the groomsmen wore. Ally and Josh had their ceremony in the room with their guests. We used the head table as their ceremony backdrop, so we opted for larger pieces. Ally's dress details were incredible. The best part of Ally's outfit though was her flip flops! Take a peek at more photos from this beautiful wedding on the Our Work Page.